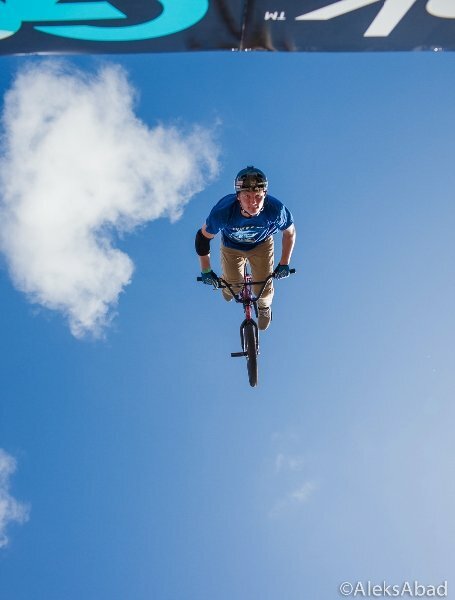 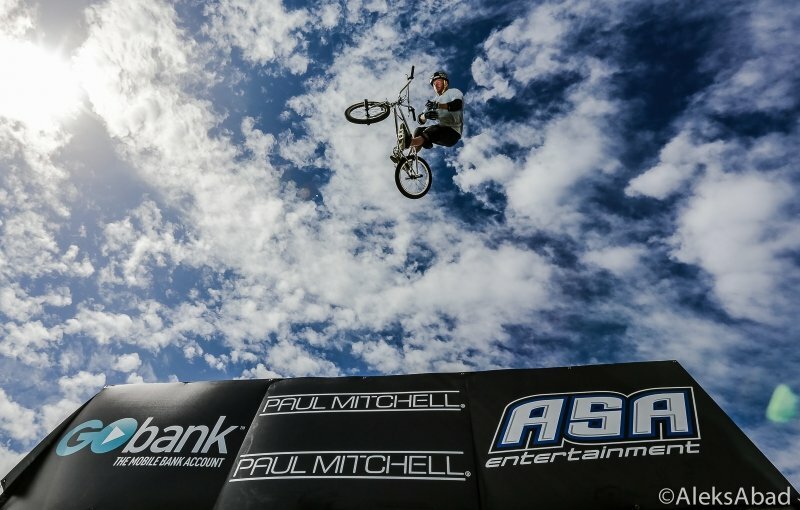 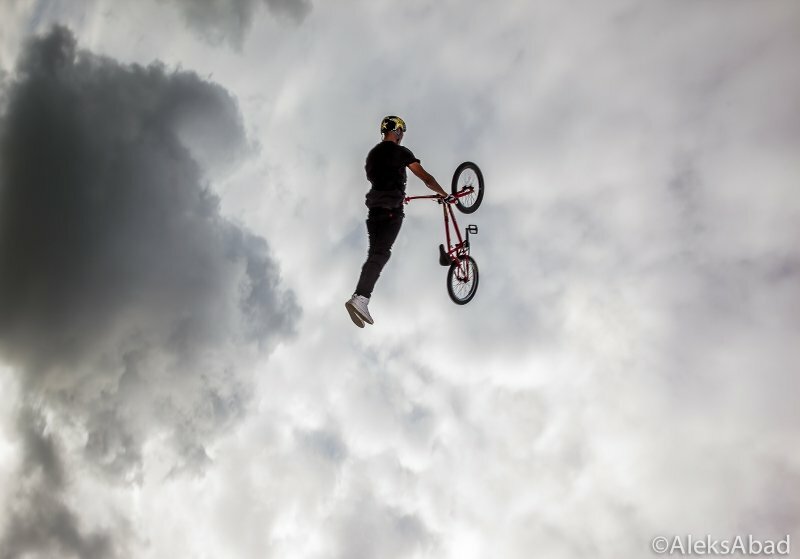 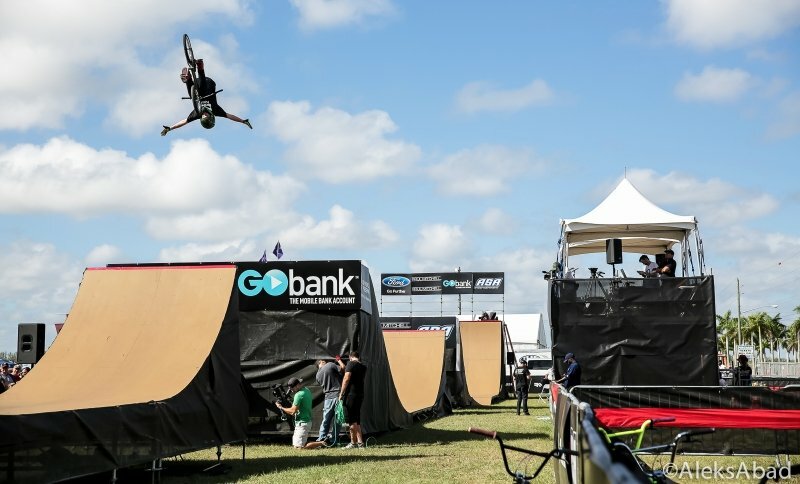 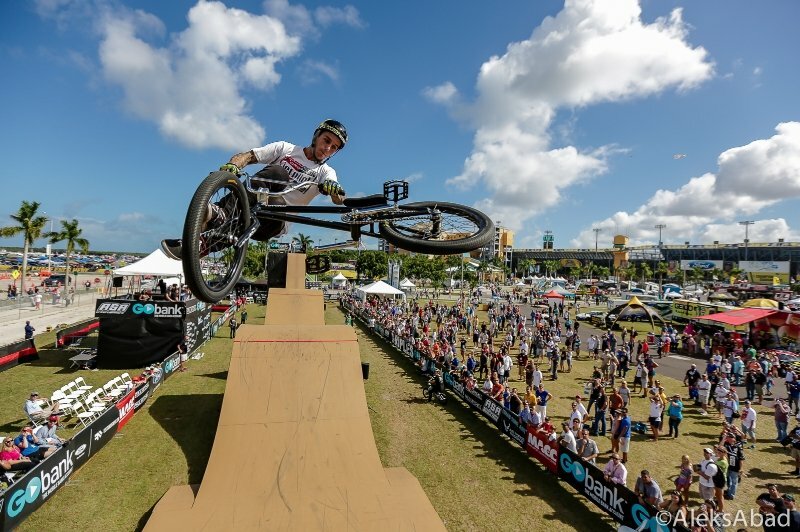 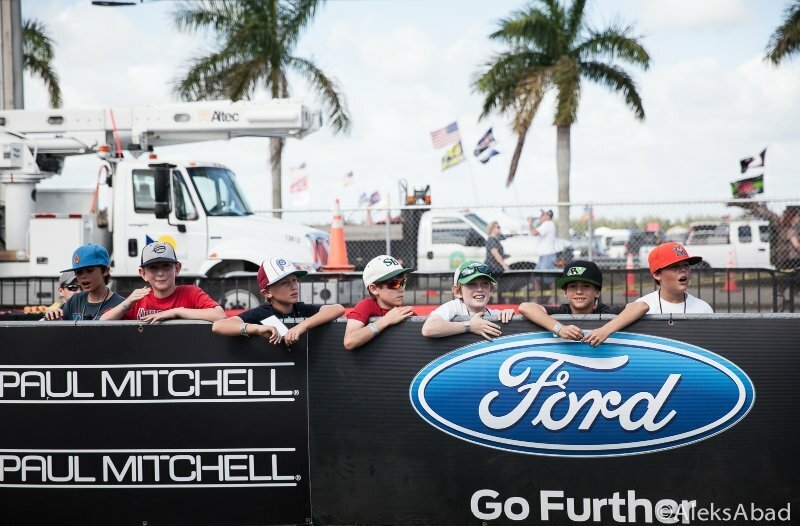 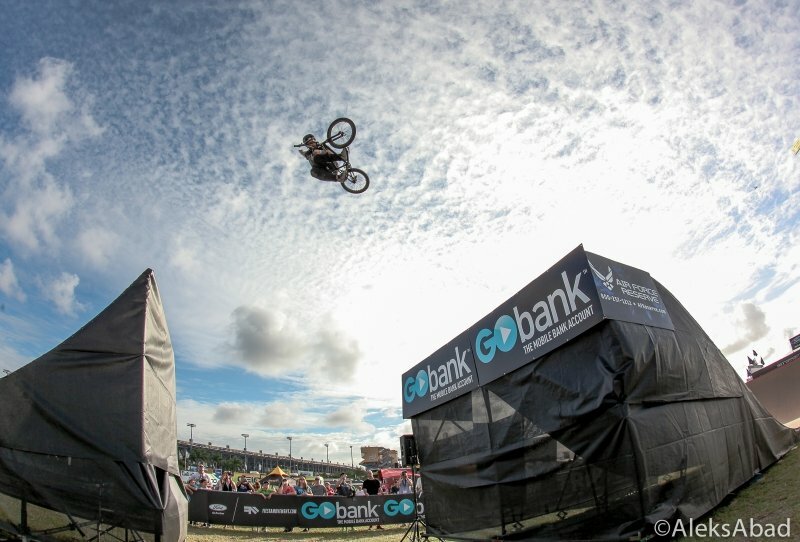 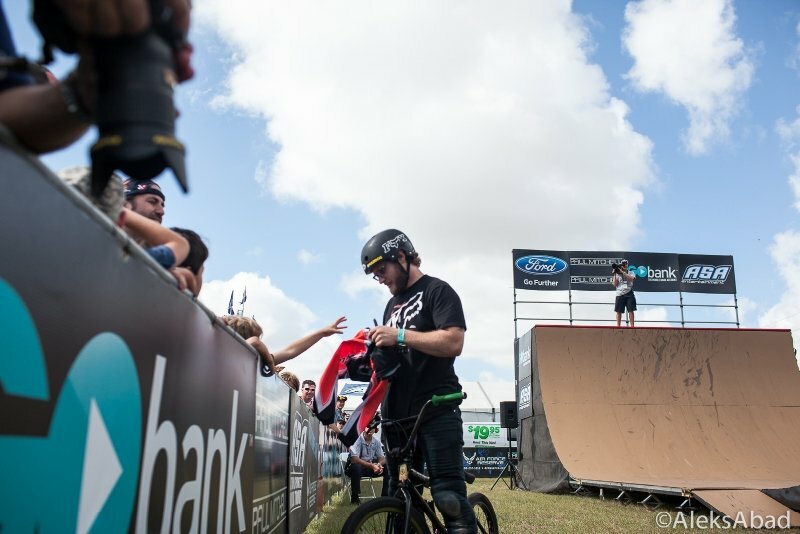 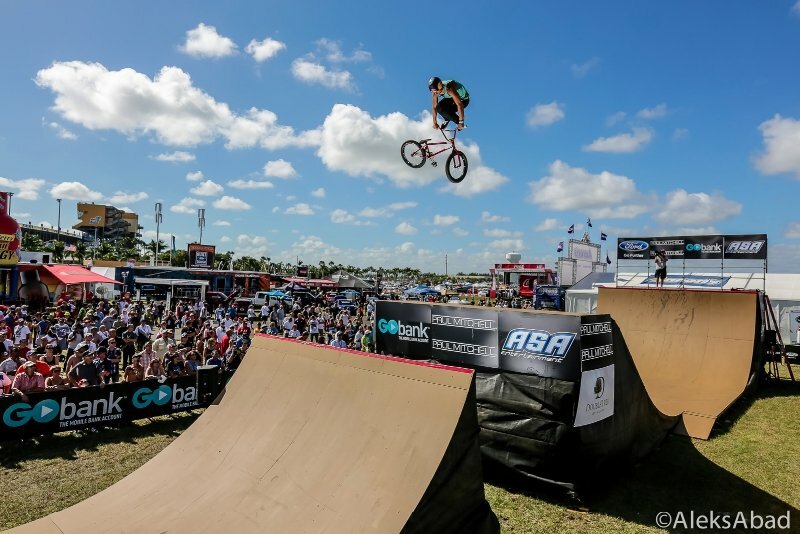 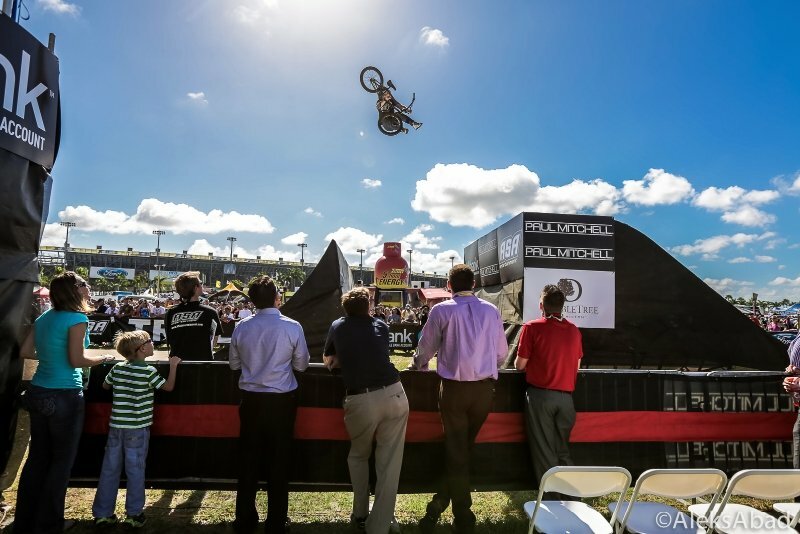 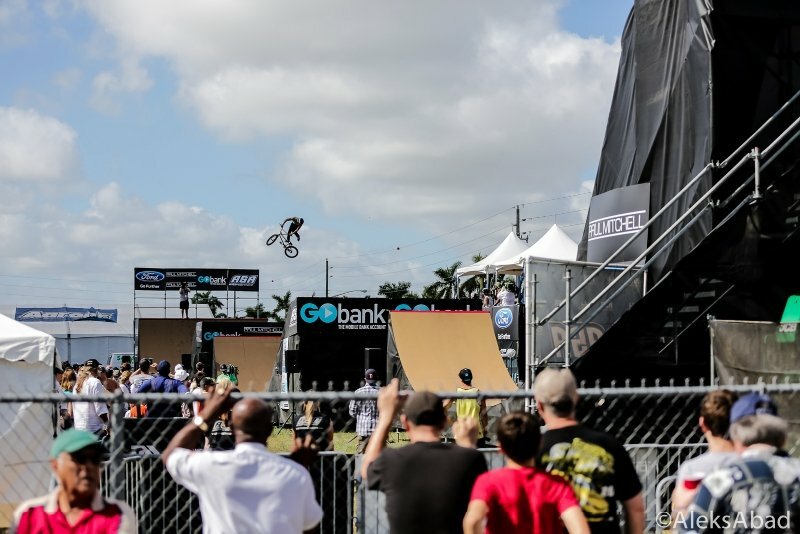 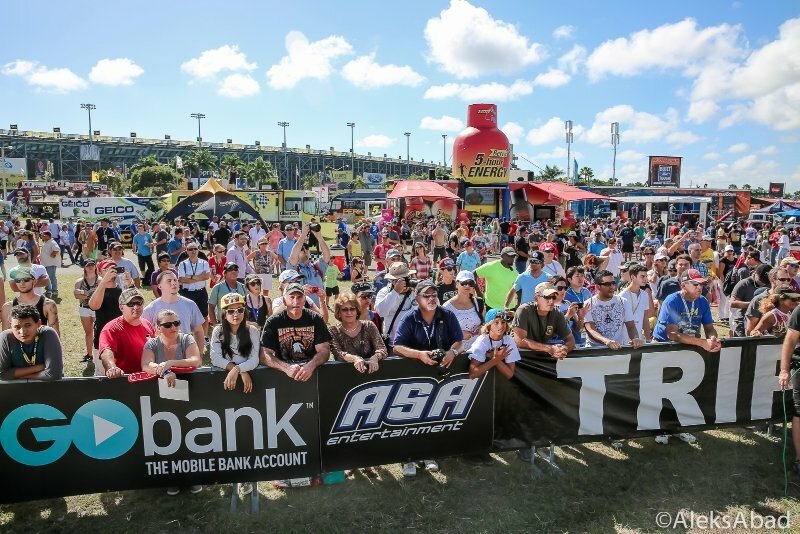 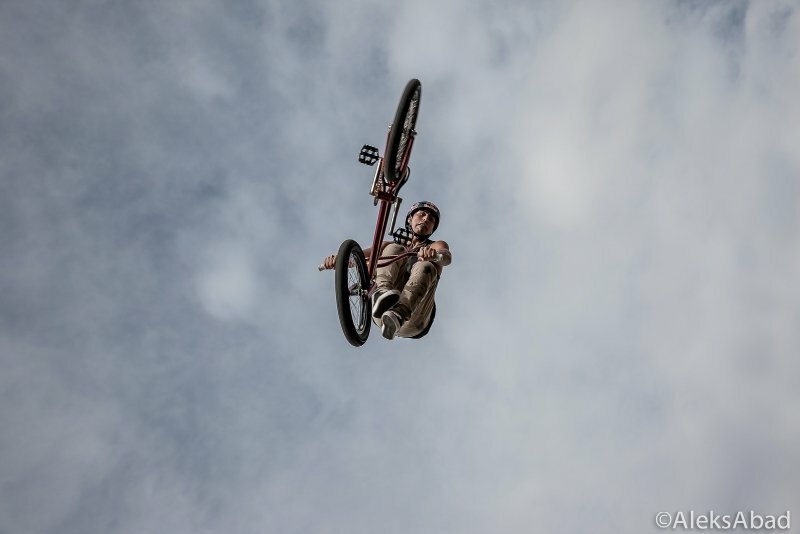 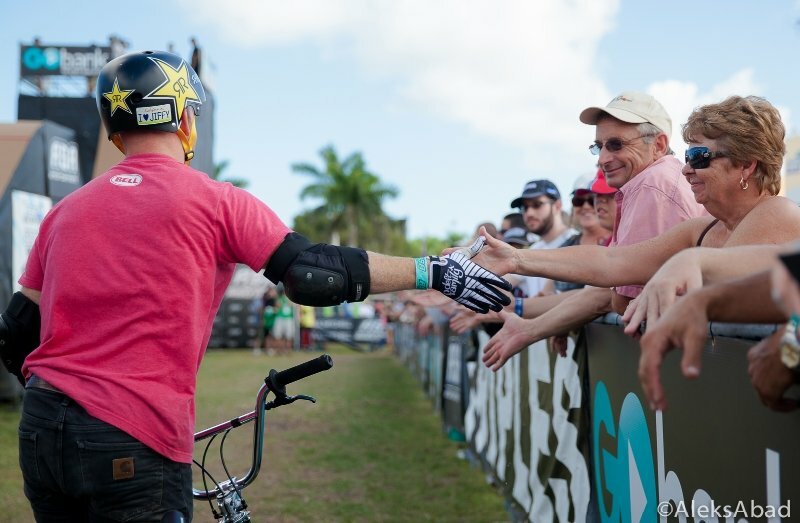 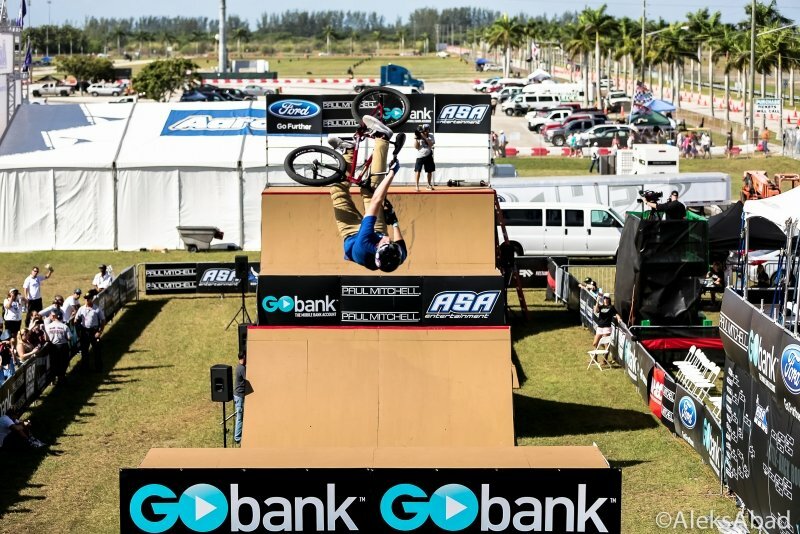 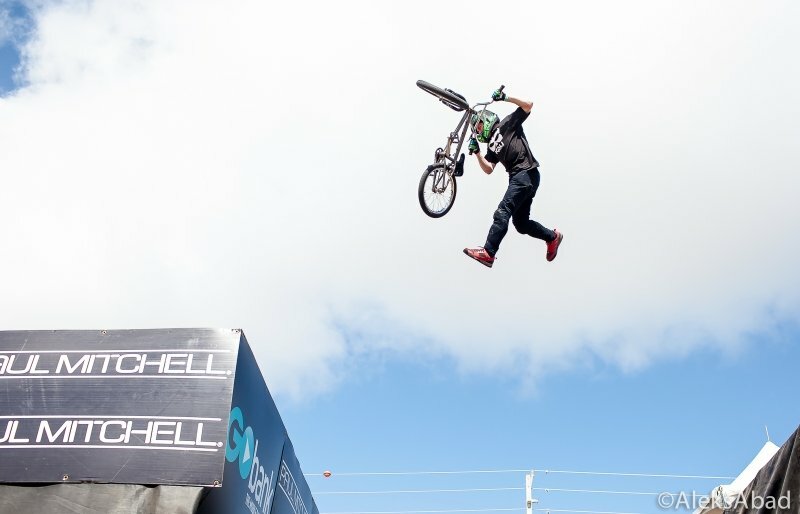 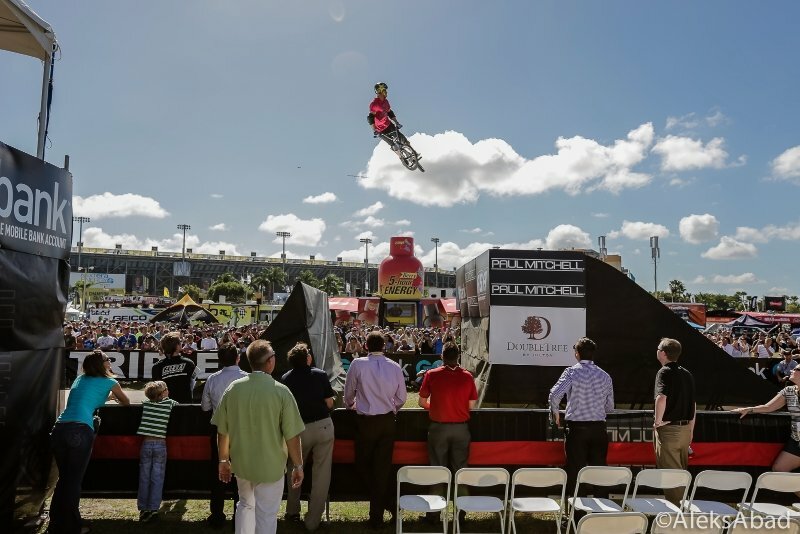 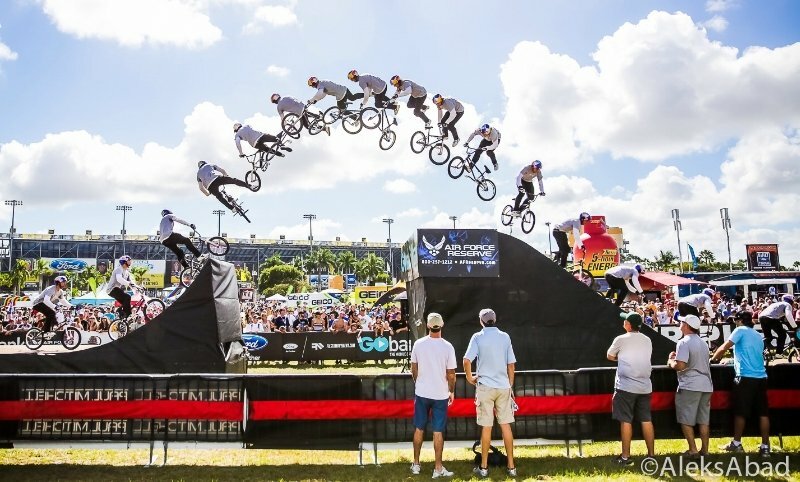 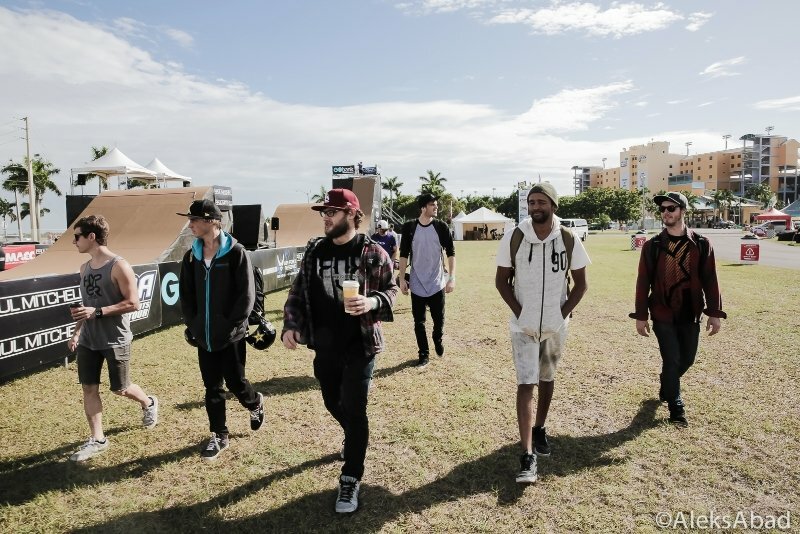 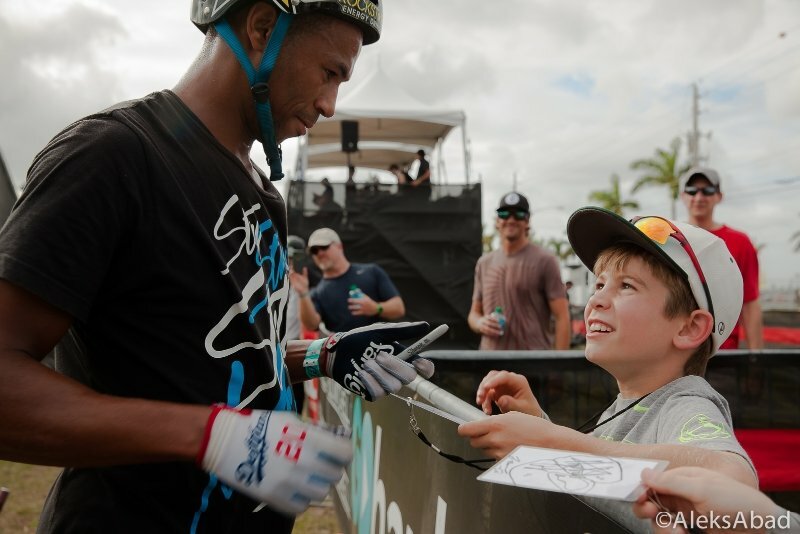 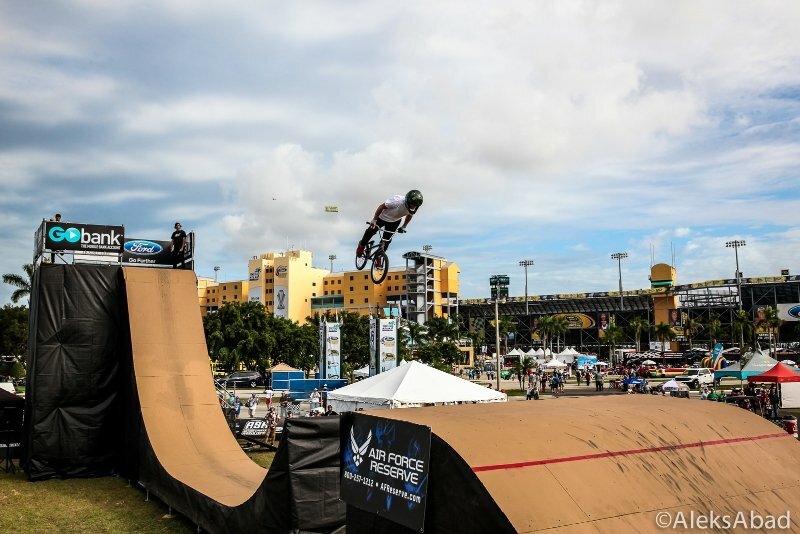 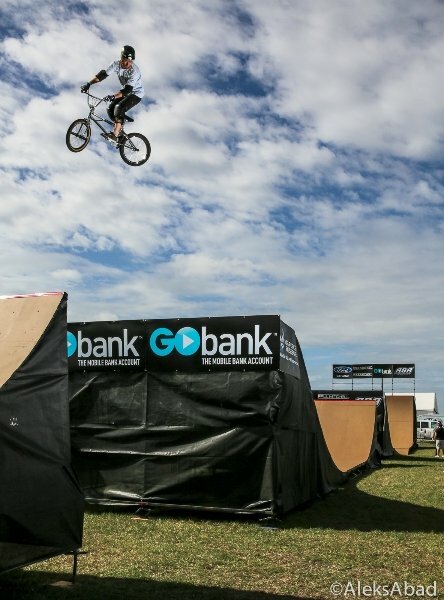 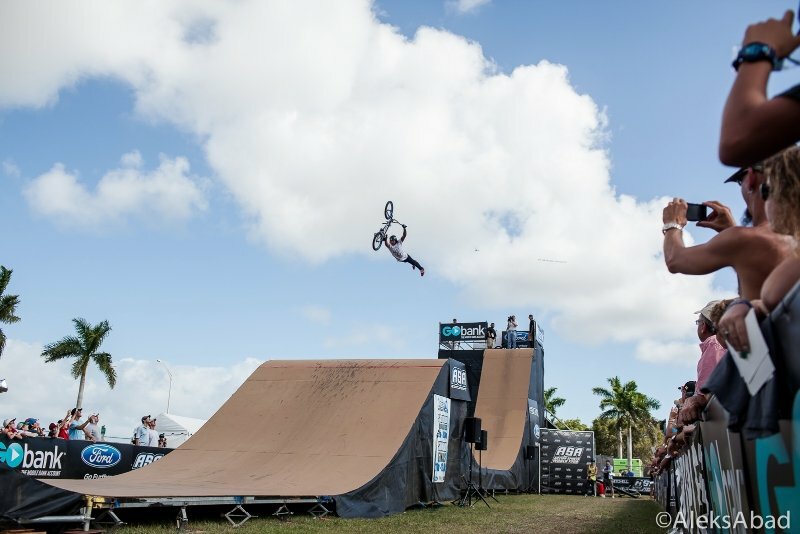 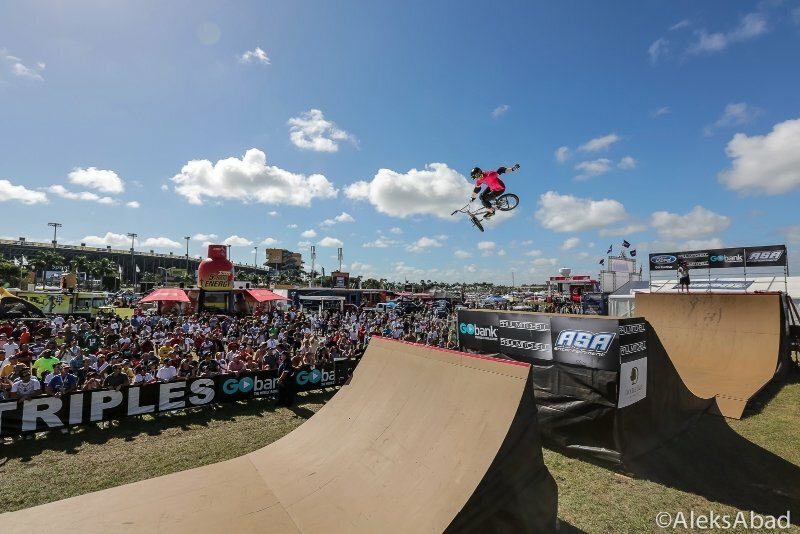 The ASA Big Air Triples took to the racetrack for the first time at the Homestead-Miami Speedway where thousands of BMX and race fans were treated to an incredible competition between 12 of the world’s top BMX riders. 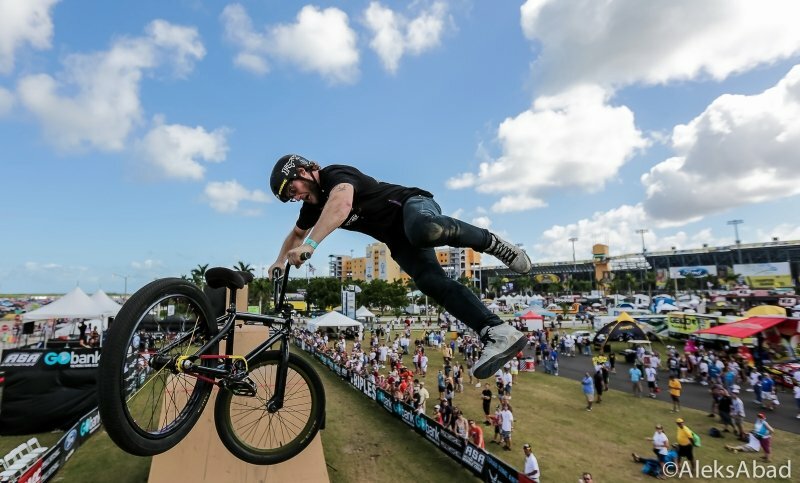 Featuring a “who’s who” of BMX, the field of talent included stars Ryan Nyquist, TJ Ellis, Colton Satterfield, Austin Coleman, Zack Warden, Ryan Guettler, Pat Casey, Daniel Sandoval, Alessandro Barbero and more. 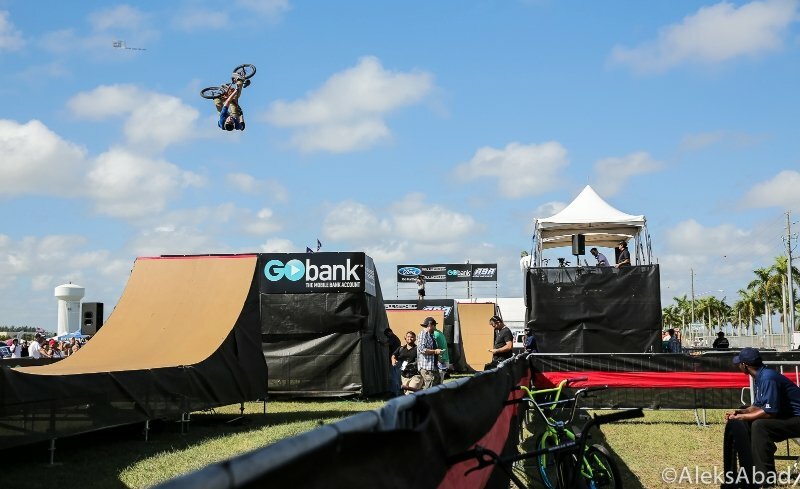 After two amazing days of BMX competition, the final head-to-head battle came down to the youngest rider in the field, Nicholi Rogatkin (Boston, MA) and fellow young-gun Pat Casey (Yorba Linda, CA). 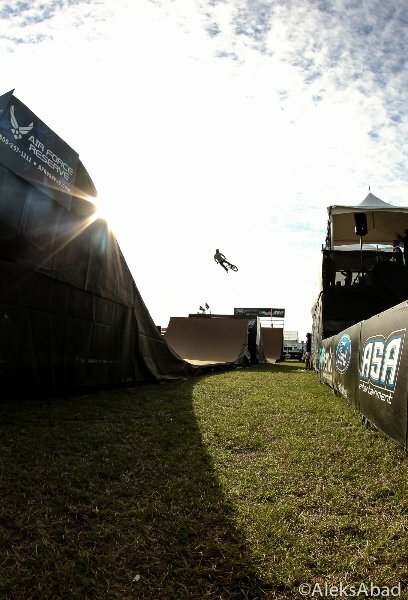 Nicholi’s first run included a frontflip no-hander followed by a cash roll, and a triple tailwhip on the quarter-pipe. 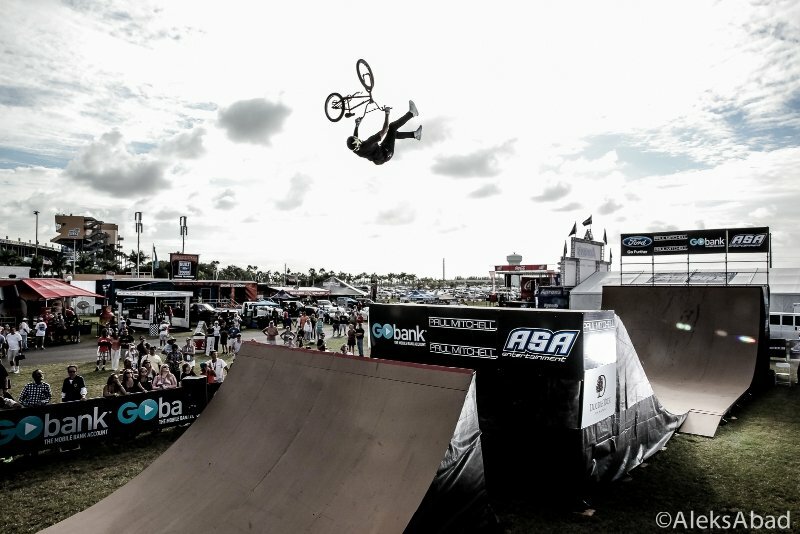 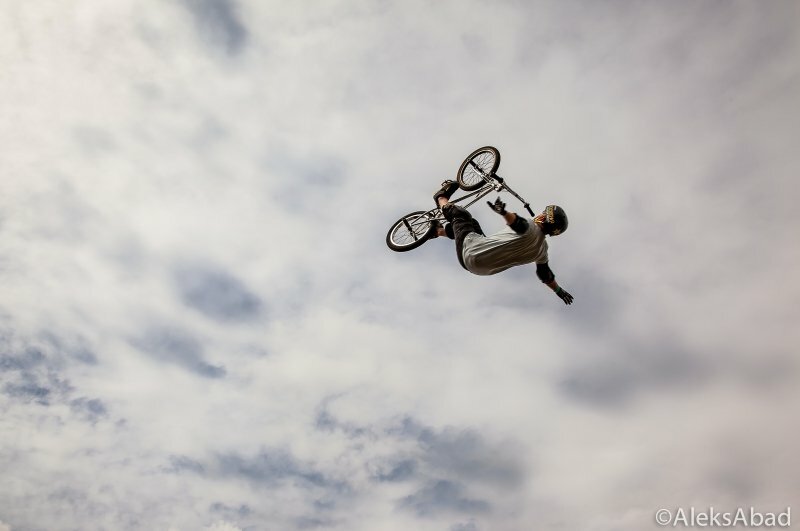 Casey answered back and upped the ante with a backflip barspin to late no-hander straight into a trick that has never been done at an ASA event—a 360 barspin to double tailwhip. 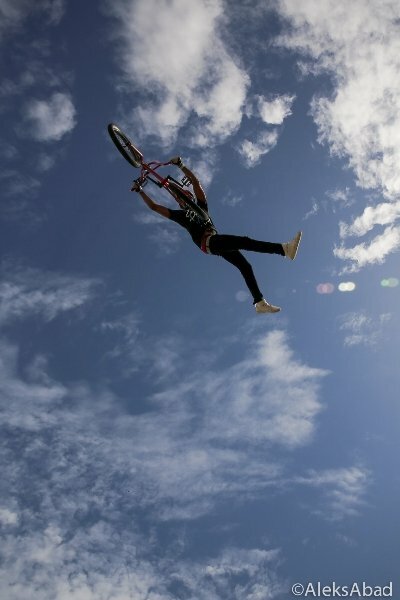 He then ended the run on the quarter with a massive tailwhip to barspin at height. 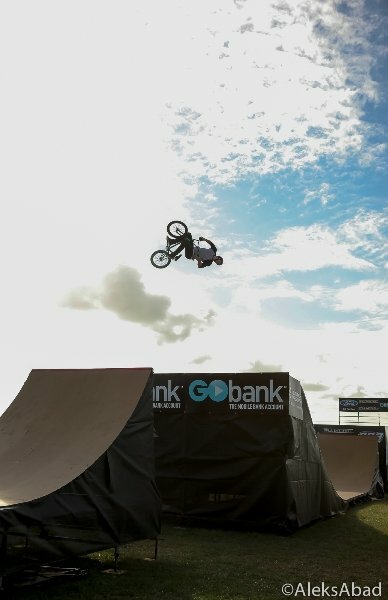 With everything riding on his last run of the day, Nicholi came through with another trick that the Triples has never seen, a frontflip toboggan over the first jump, right into another quadruple tailwhip on the second jump before landing a smooth 540 on the quarter. 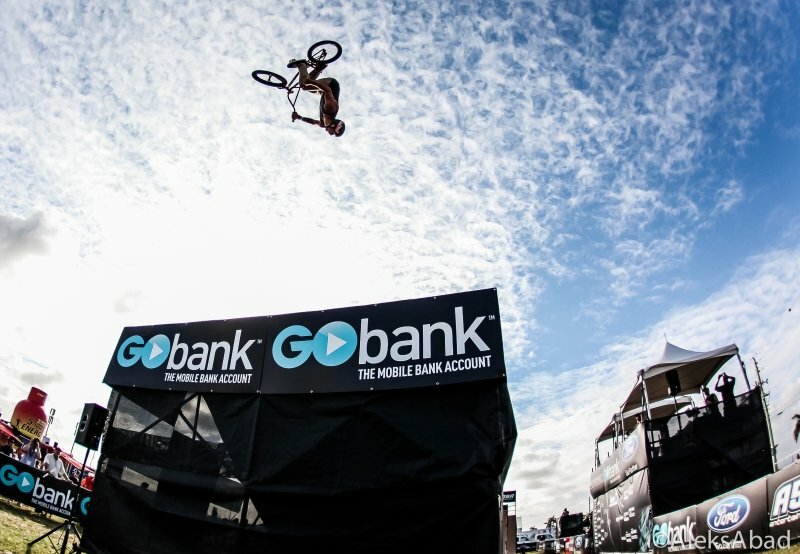 Still unsure if that was enough to take the win, Nicholi nervously waited as Pat dropped in for his second run only to see him go down on a decade backflip attempt on the second jump. 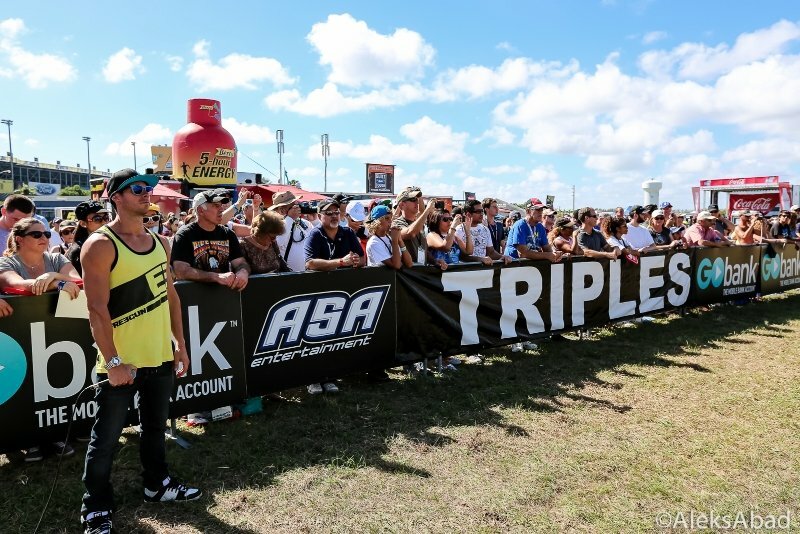 When the winner was announced, it was Rogatkin who was presented with the NASCAR helmet trophy, the check for $7,500, and the bragging rights as the 2013 ASA Big Air Triples champion.